Ismaili Centre hosts premiere film screening of "Kahlil Gibran’s The Prophet"
His Excellency the President of Portugal, Marcelo Rebelo de Sousa, attended a celebratory event at the Ismaili Centre Lisbon in December to commemorate the 20th anniversary of its opening. Leaders of the Jamat and AKDN, volunteers, and the Aga Khan Scouts, warmly welcomed His Excellency the President of Portugal to the Ismaili Centre Lisbon, to celebrate the building’s 20th anniversary. 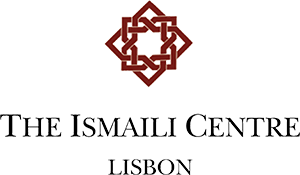 The Ismaili Centre Lisbon hosted an evening reception for the World Leadership Alliance - Club of Madrid last month. The event included a special viewing of Prince Hussain’s photographic exhibition The Living Sea. Two decades ago, on 11 July 1998, Mawlana Hazar Imam and then-President of Portugal Jorge Sampaio officially opened the Ismaili Centre Lisbon. The Centre’s 20th anniversary coincided with the Diamond Jubilee Celebration held in Lisbon earlier this month, during which thousands of visitors attended the building and its gardens for guided tours.